If you’re like many, you’ve been on the fence about investing in an all-in-one marketing automation platform…maybe you wanted to sign up with Office Autopilot or Infusionsoft, but were unsure for one reason or another. In this post, I’m about to pull back the curtain and give the full, insider look into why Office Autopilot changed to ONTRAPORT in the first place; I’ll reveal what the name WAS going to be (if it weren’t for the the threat of a lawsuit from Microsoft); I’ll give you a brutally honest look at what the differences are, really, between Office Autopilot and ONTRAPORT, plus, I’ll examine each of the new features and upgrades in detail. By the end you should be sensing that there’s never been a better time to pull the trigger on an all-in-one marketing automation platform. 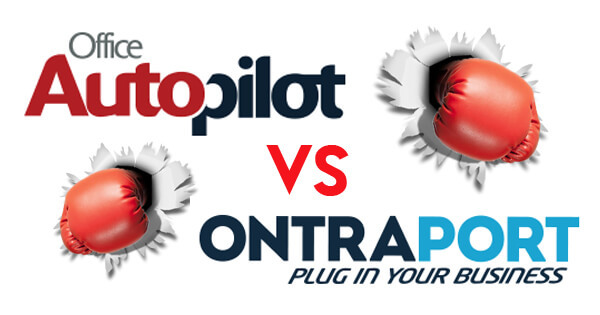 Curious about the real difference between Office Autopilot and ONTRAPORT? I. OAP vs. ONTRAPORT – The Smackdown! Pull back the curtain and give you the full, insider look at WHY they changed from OAP to ONTRAPORT in the first place. Reveal what the name WAS going to be if it weren’t for the the threat of a lawsuit from Microsoft. Give you a brutally honest look at what the differences are, really, between OAP and ONTRAPORT, plus, I’ll examine each of the new features and upgrades in detail. If you’re someone who’s considered Office Autopilot but for one reason or another hesitated, this episode is for you. You’ll discover exactly why NOW is THE best time to sign up for an ONTRAPORT account. Plus I’ll be hooking you up with a $1,694 worth of KILLER bonuses only available to those who sign up through me. I’ve broken this post up into segments to allow you to watch JUST those parts that interest you. So, scroll down and click to watch the segments that speak to the upgrades and new features most relevant to you, and be sure to use my link to sign up for your account if you’d like to claim the the bonus goods. Ready to give ONTRAPORT’s sleek new interface a whirl? Sign up here! Ready to give ONTRAPORT’s buttery-smooth workflow a try? Sign up here! Ready for ONTRAPORT’s BLAZING speed? Sign up here! Ready to automate human follow-up in your biz with ease? Sign up here! VI. 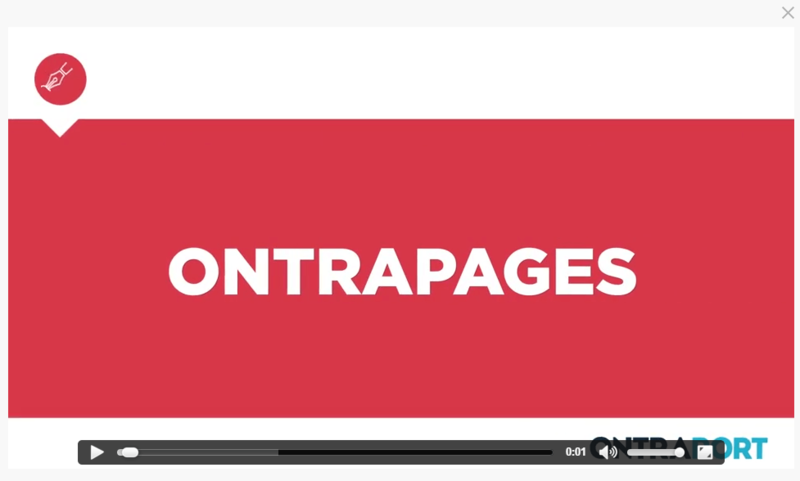 Web Forms + Order Forms Re-invented = ONTRAforms! ONTRAPORT has outdone themselves with their new “ONTRAForms” feature, which allows you more flexibility and customization capability than ever before. Now you can create popups, and “hello bar”-like forms with ease. I’d make a video for it, but they made such a slick one, themselves, that I’d be remiss not to just tell you to go check out theirs. 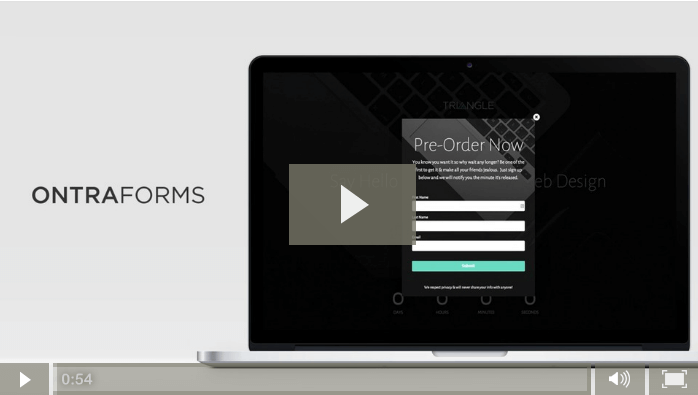 Ready to create beautiful order forms to wow your customers and increase conversion? Sign up here! Ready to communicate with your crowd with ease and speed? Sign up here! This is one of the best features ONTRAPORT has EVER released. It’s the simplest way to create gorgeous, high-converting landing pages. Not only can you start from stunning templates, but, unlike LeadPages, these pages look beautiful, are full-width, and are far more flexible and customizable than LeadPages. Plus, let’s face it, we all know when we’re looking at a LeadPage. The secret is in what they call “blocks” that you can add and remove at will. You gotta see it in action to believe it. 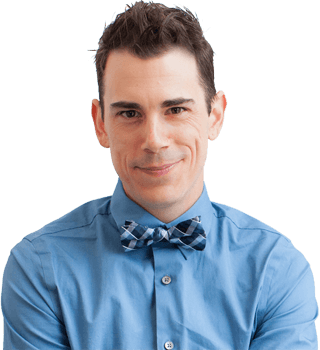 Ready to increase your reach with two-way SMS marketing? Sign up here! Ready to track your marketing effectiveness (and optimize it!) in all kinds of ways? Sign up here! Ready to get simple and effective reporting on your marketing? Sign up here! for Signing up for Through Me! Check it – I’m offering my ONTRAPORT Funnel Bundle (worth $1,694) for you if you sign up using my link! And, if you have business friends who’ve been considering ONTRAPORT and who you think might benefit, then please share this post!